The blogosphere is abuzz with news that now-deposed WashingtonPost.com conservative blogger Ben Domenech was outed for multiple instances of plagiarism. I hate plagiarism, since I’ve been plagiarized so many times and feel violated with each instance. As I’ve said before, imitation is NOT always the sincerest form of flattery. It’s the most dishonest form of robbery. At least an armed robber has the guts and decency to tell you to your face that he’s stealing from you. My problem with the piling-on of Ben Domenech is not that he doesn’t deserve it. He does. It’s that so many right-wingers–and left-wingers–that are calling him to task don’t have a problem with much more prominent conservative plagiarists. That’s hypocrisy. When I pointed out, not too long ago, that whole portions of a column I wrote were flat-out ripped off by Jerome Corsi, co-author of the best-selling Swift Boat veterans book against John Kerry, his WorldNetDaily.com editor, Joseph Farah, refused to do a damn thing (but add a tiny link to my column–Big Deal). Some conservatives told me to “take one for the team.” Huh? I don’t think so. (Since then, I’ve been told by several conservative writers that this is not the first time that WND and/or Farah have condoned–and engaged in–plagiarism.) 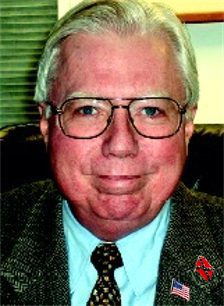 Since Corsi has a Ph.D. and has written more than one book, how much of those are also plagiarized? People don’t become plagiarists in their old age. For an op-ed in the Wall Street Journal, Crowley lifted whole passages about President Nixon from a Paul Johnson article in Commentary. She never admitted to it. She’s banned from the Wall Street Journal because of it. But that’s the only damage. In fact, Ms. Plagiarism is a calendar girl, Miss November, for the Clare Boothe Luce Policy Institute. CBLPI is a great organization, but do they really want to teach young women to steal? That’s what their poster girl, Monica Crowley, did. I doubt Clare Boothe Luce, a classy and integrity-abundant journalist and writer (among other things), would condone it. It’s liberals that believe in taking away your property from you by force (you know, big government, redistribution of the wealth, eminent domain, et al). Conservatives are supposed to believe in property rights, but not these low-rent thieves. Poor Ben Domenech. He apparently wasn’t a big enough name to get away with unarmed robbery, the way Jerome Corsi and Monica Crowley did. It’s a shame, shows how low the conservative movement has gone. It really has turned into a racket in many ways. With friends like this, who needs enemies? Well, just keep making a big problem out of this stuff and sooner or later people will come around. “At least an armed robber has the guts and decency to tell you to your face that he’s stealing from you.” I agree, and let me add that at least you can stop him if you’re quick enough with your hands. I don’t know exactly when the political scene in America became a cesspool of parasites with no honor. I think ever since Reagan left the White House, it’s slowly degenerated into one. It’s starting to remind me of the Old Country, and not the good parts either! The saddest part is that conservatives don’t have the means to wrest control away from these idiots. They are liars and frauds all the way up the chain. We are entering into a culture that devalues thought and reason and encourages blindly obeying everything — the Big Government of today is not what our founders intended. But how to return to conservative values? It has just gone so far that I’m dismayed at the possibility of ever recovering. And now that the Republicans have complete control they still do nothing to return to some semblance of decency in Government and America — they instead play on social issues and build straw-men to keep themselves in office and in power. Shame on anyone that puts these idiots in office. Shame on anyone that stands by and watches frauds like Domenech perpetuate their deceit and live off the backs of others. I agree with Debbie 100%. Now, where can I get one of those conservative babe calendars? They were crazy not to include Debbie. Good points, Debbie, although I doubt very much that the harm to poor Ben will extend much farther than being banned from the Washington Post. I’d be willing to bet he won’t lose his job at Regnery (which was still his main job while he was a Post blogger). This event may very well jump-start his cable news career, in fact. But I bet Media Matters would be glad to join you in a call to keep Jerome Corsi and Monica Crowley off of TV. Low standards by media organizations has been a rather consistently harped-upon point on the left. “Scary Jerry ” Corsi should’ve been cashiered and kicked out of the conservative movement years ago. He’s one of the most amoral and dishonest (factually and ethically) individuals I have ever encountered. It is beyond me why anyone at Regnery would even give that fat hosebag the time of day. Maybe he’s been giving someone at the venerable publishing house Monicas (and no, I don’t mean Crowley). Debbie, I would love to agree with you on this point because, as a journalism student and someone who works in the media, I think that veracity, transparency and credibility in the media is a very serious issue that needs to be addressed. Our free media seems to be more interested in staying in the good graces of those who pay the bills and grant access than they are of actually covering the news. However, I am one of those “unhinged” liberals that you guys despise so much. Pity that might keep us from fighting for the same cause. This plagiarism thing is becoming an epidemic. Many of the people who attacked Domenech were also plagiarizing Domenech in their attacks. The Washington Post’s former conservative blogger Ben Domenech who resigned yesterday amid allegations that he plagiarized past work has ripped into his former editors, calling them “fools”. Nobody plagarized Domenech. Nobody tried to pass off his words (assuming they were his words) as their own. They quoted him, with attribution, which is not plagarism. Personally, anyone who steals the words of others and tries to pass them off as their own deserves scorn; left, right, it doesn’t matter. It’s intellectual theft. I appreciate your hatred of plagiarism and your revelations of Ms. Crowley’s and Mr. Corsi’s guilt (widely unreported) but where on earth did you get that “it’s liberals that believe in taking away your property from you by force”? Not only is that utter nonsense, it’s inflammatory. If you’re going to assert something like that, at least explain your reasoning and give examples. realitique: The liberals on the supreme court voted that local governments can take homes and other property for private development. There are liberals on the Supreme Court? I’m well aware of that atrocious decision, and I don’t recall “liberals” (whatever that means these days) supporting it. In any case, the author of this post should’ve cited it if it’s what she had in mind. But thanks for the link. It was the liberal judges who supported it. Most of the conservative judges did not support it. Those who think Kelo was something obviously never read the 1954 Berman decision. And those who have a problem with this, in general, are obviously only Incorporated State’s Rights’ers. When the Constitution limited the power of the Federal government, it was effectively giving ultimate control, absolute authority (including, as Illinois did, banning speech it doesn’t like) to the States. This includes eminent domain for any purpose. A lengthy analysis by the Harvard law journal explains that Rehnquists decisions favored the government over individuals, and would always favor the state governments over the Federal, and would always limit Federal jurisdiction. If you don’t like the results of that study, I suggest you take it up with whomever wrote for the Harvard Law Journal at that time (it was a study done on Rehnquist when Reagan appointed him to be Chief). I commented on your Feb 2006 article in response to a fellow Vietnam veteran who was a bit and mistakenly annoyed that you were discrediting all Swift Boat Vets by way of your correct call on Corsi’s plagiarism. That, in fact, was my first ever blog entry. I understand your right to be angry at this injustice, but I wonder if you are aware or have ever otherwise noted the true accounting of just what Swift Boat authors John O’Neill and Jerome Corsi were all about. They perpetrated a devastating lie upon the Presidential candidacy of John Kerry and were really nothing more than a “527 campaign advocacy” group finance mostly by 3 Texas millionaires. I recall T. Boone Pickens donated $2 million and the other 2 were at $4+ and $3 million dollar fundraisers for these Boat Boys. As a fellow vet, I am ashamed of them and hoped, politics aside, you would have a least allocated one or two lines to that sham also. I would like to believe, having read what your father had written, you would have not overlooked Mr. Corsi’s other devious work in this regard. hid from them. Senator/POW John McCain denounced their work and ask President Bush to do the same, which Dubyaa never complied with. They were the four most memorable and devastating slam-Ads of the ’04 campaign and cost Kerry dearly and wrongfully. I know you have done some gutsy things to get your story, and I trust you know what risk and reward or dis-reward must feel like. She is the pride of old Hebrew Detroit! 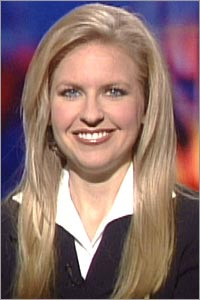 Fire Monica Crowley from any job she holds and chain her to an ice floe!